The Marshallton Circulation Study seeks to address concerns of heavy cut-through traffic and high vehicle speeds along Old Capitol Trail (OCT), along with non-motorized issues throughout the Village of Marshallton. 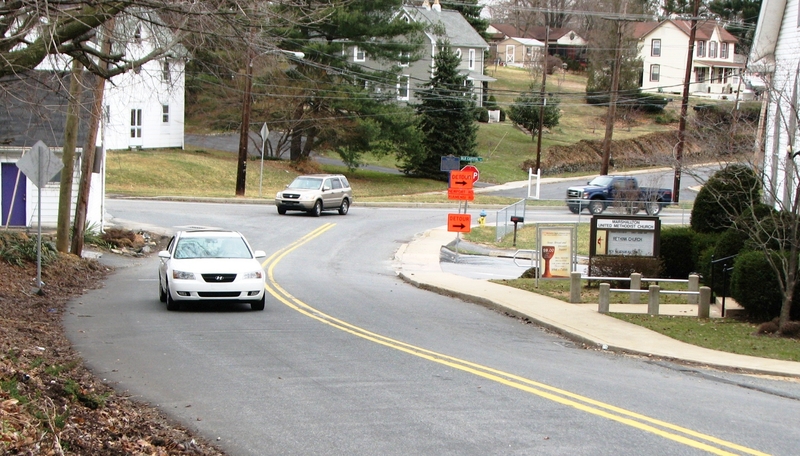 This study combines traffic modeling with fieldwork and multi-modal analysis, and considered recommendations from WILMAPCO’s Marshallton Walkable Community Workshop, New Castle County’s Draft Marshallton Community Plan, previously completed work by DelDOT and other previously submitted written comments from the Historic Village of Marshallton Civic Association. The study calls for two intersection rebuilds on Old Capitol Trail , along with numerous pedestrian improvements. It was completed by WILMAPCO in partnership with the Historic Village of Marshallton Civic Association, DelDOT and New Castle County. Council endorsed the study in March 2014. A car travels south on Stanton Road in Marshallton. Please contact Bill Swiatek (x113 or bswiatek@wilmapco.org) if you would like more information about our work in Marshallton.